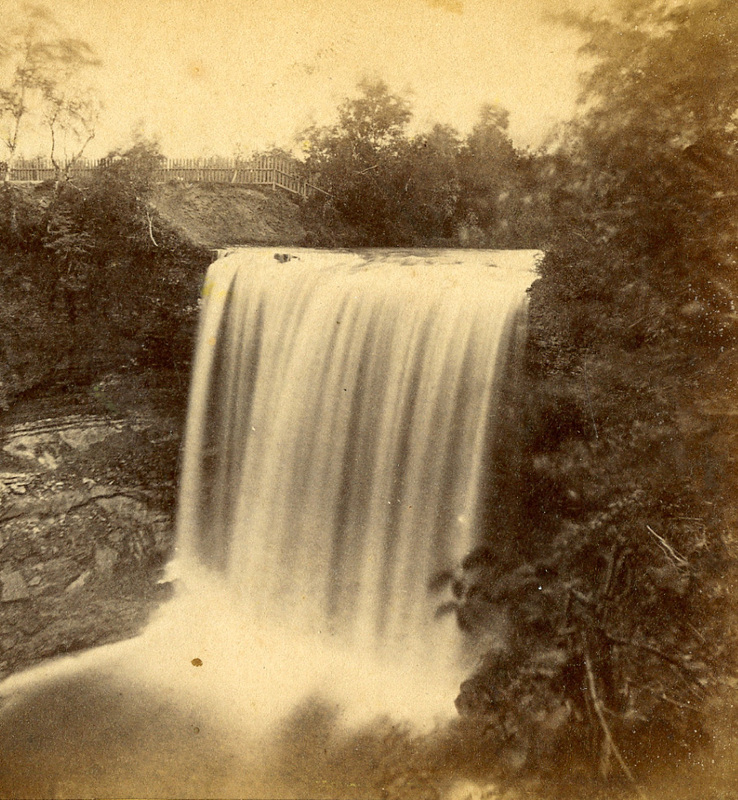 Taken by Benjamin Franklin Upton, this image of the Falls was probably taken in the late 1850s. It’s that fence that helps date this picture. Most likely it was taken after the scandalous 1857 purchase of Fort Snelling by Franklin Steele and his shadowy partners from Back East. 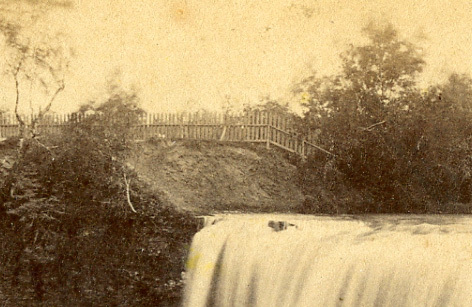 That was the first time that Steele owned the Falls of Minnehaha. Someone who owned the land put that fence up. A few years from now, John Carbutt will come to town to take a series of pictures that will include a shot similar to this, and we will see that the pickets are missing and the fence is falling into disrepair.